Superior quality stainless steel: 1/20" thick, non-magnetic, and non-corrosive. They are deeply engraved and color filled. Ideal for cats or tiny dogs with collars 3/8" or 1/2" wide collars (see below). Using these will: eliminate clinking tag noises, avoid that obnoxious "hangy" tag look, and keep your pet's tag out of the food dish. We guarantee CollarTags™ will remain attached to a collar of a width for which they are designed (see below). This "mini" size tag is limited to 4 lines of text. Images below reflect larger tag. 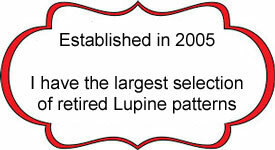 The collar pictured in these images is a Lupine pattern that was a Lupine Lab pattern. I received one collar in it as a sample and rather than list it on my site with the other samples I chose to keep it for Maggy. There isn't any webbing in it to make any more pieces. For wider collars that are 5/8", 3/4", or 1" wide, I offer larger tags, click here to see the larger adjustable collar tag. over several years I have used Pet Expectations and they have never failed me! this year I was looking for a larger pattern, the same as my baby puppy collar. Not disappointed! I found the right one! in addition I found a steel collar name tag which fit the collar perfectly! Totally satisfied! Thanks for the shipment. It is exactly what I had ordered previously from Boomerang site. We only use Boomerang "collar" tags for our dog as at less than 10 lbs she doesn't ever wear a collar and we can fit these adjustable tags right on her webbed harnesses. 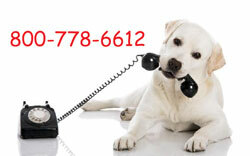 No noise, no lost tags, smart looking, and affordable enough to buy one for each of her harnesses.